In this episode we got to see how David became the man he is today as well as found out about a potential new big bad for this season. This episode opened with Elsa vowing that no one was going to leave the town until she had found Ana. She erected a large wall of ice making the town her prisoners. It knocked out the power causing Emma, David and Hook to go investigate. 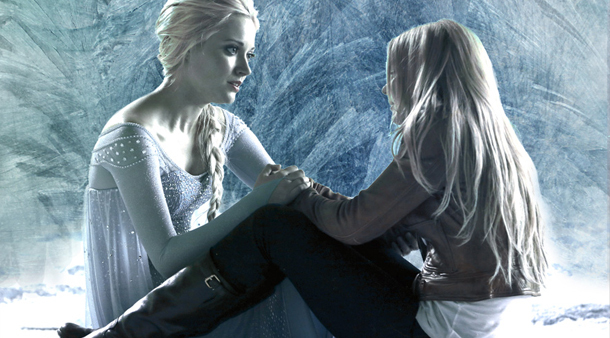 They find Elsa and frighten her causing her to trap herself and Emma inside the wall of ice. Hook and David scramble for a way to save Emma before she freezes to death. The glimpse of the past portion of the episode showed us that Ana encounters David shortly after she arrives in the Enchanted Forest. David is kind to her and is going to let her stay at his farm. While there she learns that Bo Peep is extorting David and his mother. Ana is distraught at watching David give into Bo Peep and works to help him learn how he can fight when he needs to. In the end this is a lesson that David passes on to Elsa and helps her find a way to control her power and save Emma. The main theme of this episode was the idea that surviving is not enough. You have to fight daily for what you want, if you just stay motionless nothing will improve or change. David has to learn this lesson in order to save himself and his mother and it is a lesson that a few others in this show should take note of. In the past we learn that David’s father lost his battle with alcoholism and that made David assume that some battles can’t be won and aren’t worth fighting. He becomes a man who just survives from day to day. Bo Peep extorts him and his mother because David is weak and assumes that he can’t win, so why bother fighting at all? Ana doesn’t understand this way of thinking and she won’t let David live by it anymore. She tells David that she knows how to fight and she will teach him so that he can fight Bo Peep and keep his farm and way of life. While they are training she tells him that, “Surviving isn’t living,” (Ana). Just because you wake up day after day does not mean you are truly living your life. There is more to living then making it to the next day. You have to work for and fight for what you want. You have to go after you dreams and accomplish you goals. Otherwise you are just taking up space and not doing anything to better yourself. You have to try to make your life worth something, in your eyes at least. David has to learn that he can win and that there are a number of things that are worth fighting for in this life. This sparks a flame inside of him that continues to burn. He fought for him and his mother and now he fights to hold together his family, to keep his love for Snow alive and to help Emma live a full life. David is a true fighter now. Emma could take a few pointers form her father. Emma still seems to be only surviving from day to day. Last episode we saw her tell Regina that she came to Storybrooke to help give everyone a happy ending and she will not stop until she has accomplished that task. Does she realize that means herself as well? Emma refuses to see that she can have a true happy ending just like everyone else. Does she really want a happy ending? She continuously pushes away those who are there that can give her what she wants. In this episode we saw how much Hook truly cares for Emma. He is scared to death when Emma gets trapped in the ice. He will do anything to save her. When David questions what Hook is doing with his daughter Hook replies with, “I wouldn’t risk my life on someone I see as loot. Whatever we become is up to her as much as me,” (Hook). He truly loves and cares for Emma but he understands that they can’t have a relationship if she isn’t committed to it as well. Emma has to want to be with him as much as he wants to be with her. Hook will fight for Emma but how long will that last if Emma keeps pushing him away? Emma has her happy ending at her feet but she is backing way from it instead of running at it. She has a son who loves her, parents who care and love her and Hook who will do anything for her. If she wanted to she could let herself be truly happy. Yes, life seems to always have complications but she can be happy in-between those moments. She is just always waiting for the next problem. All Emma seems to live for is to get out of the next scrape. Emma survives day -to-day but she is going to need to learn to truly live before she loses everything that makes living worthwhile. We saw that Elsa isn’t out to be the next enemy. All she wants is her sister back. She can’t control her powers without her sister. We see that Elsa just like Emma has this huge guilt weighing on her shoulders. She blames herself for everything that has gone wrong in her life and without Ana’s voice in her head helping her she feels like she can’t truly do anything. Elsa is going to have to learn that she can control her powers without Ana always by her side. Through looking for Ana I hope that Elsa drops some of the guilt that is weighing on her and sees how much strength and power she holds inside of herself. At the end of the episode we got a glimpse of what may be the new big bad, the Snow Queen. I am extremely excited that they are incorporating the true Snow Queen from the Hans Christian Anderson story alongside the modern day version of the character. It will be fun to watch these two beside each other. I hope that they use the character to help Elsa see what she can becomes if she doesn’t learn to control herself and have confidence in herself. If this Snow Queen is anything like the original story she is ruthless and harsh. For Elsa it will be a shock to see someone not only who has her powers but who also has lost herself to the darkness. I feel like we are going to see Elsa panic then realize that she can determine where her life is going to go. Elsa will have to fight to not only save her sister but to also save herself. “There are alway people in this world who want you to give up. Don’t make their jobs any easier.” – David – He tells this to Emma. He sees that Emma is constantly doubting herself and what she should do next. He wants her to know that there are alway compilations and people who are going to be angry at or against her. The only way they will win is if she lets them. “If you fight a battle you can win it’s not a fight.” – Ana – She has a very good point. If you only fight what you know you can win you have accomplished nothing. Yes, you are the victor but so what? You knew you were going to be. There was no effort extended or used. You don’t grow stronger or become better you if you just remain static. David wins his fight against Bo Peep and realizes that these words are very true. “Wow you really like to give up.” – Ana – Ana is a very strong and stubborn person. She doesn’t back down easily. So she can’t understand why David is that way. In the end these words are ironic because David has no idea how to give up anymore. This is the last thing he likes to do now. Who exactly is the Snow Queen? – What is her story? – Is she going to be the new villain? – Is she going to be who Elsa has to struggle against? – What is the connection between the two and their powers? 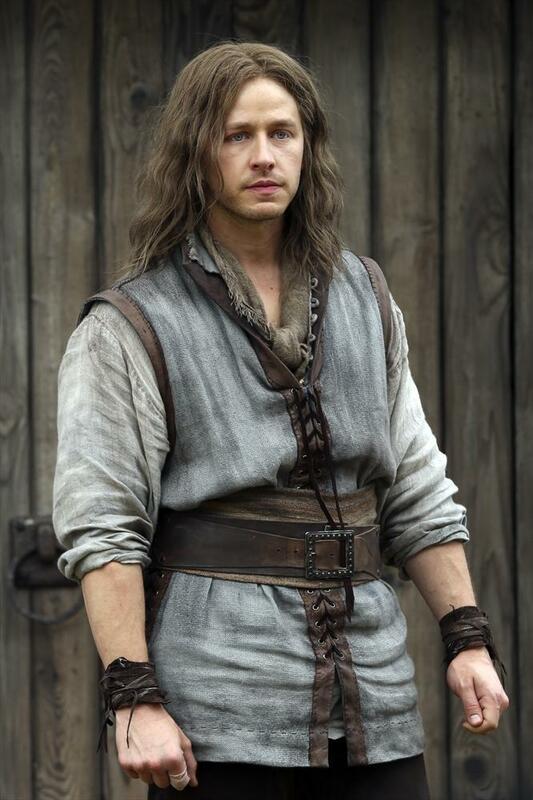 What did Rumple end up doing for Ana? Was Ana somehow responsible for Elsa ending up in Rumple’s vault? Will Emma ever let herself be happy with Hook? Will Regina let Henry help her? What will Henry do once he learns about what Regina is planning? Posted on October 6, 2014, in Once Upon a Time, Tv Shows and tagged David, Elsa, Emma, living, Once Upon a time, surviving, tv show review, White Out. Bookmark the permalink. 3 Comments. It is really good. I love it because I love fairy tales and it is a twist on all kinds of different fairy tale stories, modernizing many of the characters and giving them depth. It is a very good show. All the last three seasons on are on Netflix if you want to catch up. I highly recommend it!